If you prefer it vegan we’ll leave off the cream. 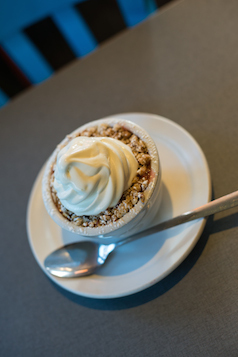 Baked fruit crumble topped with our own vegan, gluten aware oat topping. Choose from rhubarb, apple-cinnamon, tripple berry, stawberry rhubarb or your own blend.